Shawnee Mission Kia invites you to find the vehicle of your dreams at our Kia dealership in Mission. We are conveniently located near 35 & W 63rd St. Just 15 minutes away from Kansas City, MO. 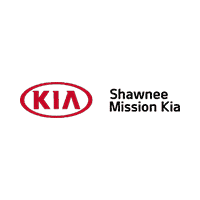 Shawnee Mission Kia is well-known for the quality of our new and used cars and SUVs for sale in the Kansas City area. Time and time again, customers choose us for our fantastic selection, competitive pricing, and quality of customer care and service. Our friendly team members are ready and waiting to help you find the perfect Kia deal for you. Are you looking for one of the best Kia certified service centers near Kansas City? Then you’ve come to the right place. Our fully certified Kia mechanics and technicians already know your vehicle from top to bottom, and know exactly what your vehicle needs and wants to keep it running reliably for years to come. Just call us at (888) 928-0479 to schedule a service appointment at your convenience. Your search for the best Kia lease deals near Kansas City is over. Once you’ve found the perfect vehicle, our Kia finance specialists will help get you the best auto loan or lease deal in the Kansas City MO area. Contact us today, and make sure you ask about our current finance offers, specials and incentives. If you’re not quite sure about which new or used model is right for you, then drop in for a test drive. After you get behind the wheel of a new, used, or certified pre-owned Kia vehicle, we’re pretty sure you’ll know it when you find it. Call (844) 899-7927 today and be on your way to enjoying your drive time more than you ever thought possible. Updated to add: I spoke with a manager and they are taking care of the detail issues. I really appreciate the lengths they went to to correct and apologize for the inconvenience. Decent experience purchasing my vehicle. My biggest problem is that it’s still a mess from the previous owners. I expected it to be detailed very well, but it wasn’t at all. I’m still trying to clean up messes that were left behind. I absolutely love this place.I have a Kia and I love the service that I receive from here.I will continue to come here for any service needed for my Kia.I highly recommend this place for any Kia owners.